Newlywed life is bliss. But once you freeze the last slice of cake, preserve the bouquet, and return from the honeymoon, it’s time to tackle less-exciting responsibilities. One of those is considering health insurance after marriage. If you and your partner are covered under two separate plans, consider which one to keep. Which best accommodates your health needs? Which makes the most financial sense? Which accounts for life changes, such as a growing family? Also look to see if your plans have coordination of benefits (COB) provisions. With COB, your benefit carriers will work together to make sure you get the most out of your dental benefits. In that case, you both may want to keep your health insurance after marriage. Make sure to check with each carrier to see how it administers COB before you make a decision. 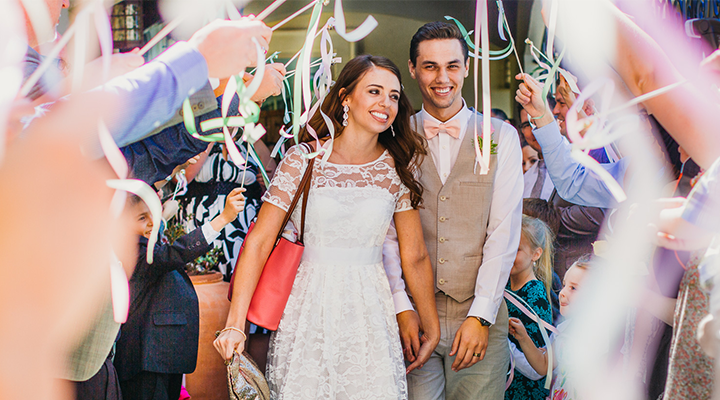 Outside of open enrollment, dependents can be added to a plan during a special enrollment period, which varies from 30-60 days after tying the knot. Contact your insurance provider to learn about your policy specifics and details, like if your partner will be subjected to a waiting period. When adding a partner, you may face a potential rate increase. Keep in mind that things like your deductible and premium may change. And if you’re insured through your employer, you may notice a small difference in your paycheck. Still need to add dental insurance to your list? Check out our family plans here.